One day I saw a vision, In this vision, Lord Jesus was standing near pure and crystal clear river mentioned in Revelation 22:1 and beside him many sheep were there. Jesus was inviting sheep to drinks water. I felt so relaxed and calm when I saw this vision. In this Bible verse, it is mentioned “Still Waters”, In Hindi Bible, it says “Fountain of waters "
That means from the starting point of the river a freshwater He will give us.Revelation 7:17 also says he will lead us near the fountain. 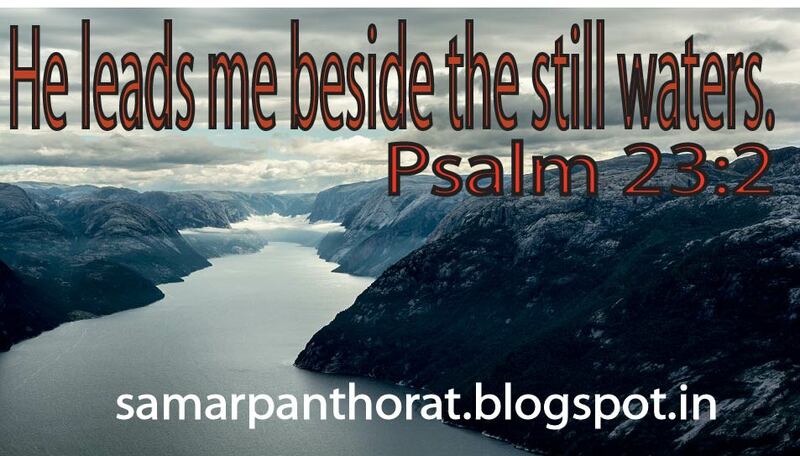 Dear Lord, thank you for guiding me near fresh water and quenching my thirst. Always give me the grace to obey your commandments and listen to your voice. 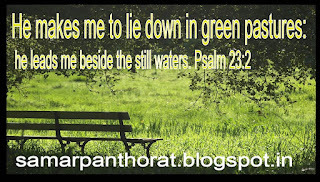 Psalm 23:2 He makes me to lie down in green pastures: he leads me beside the still waters. 2) Me: I am His Sheep. I am a sinner, I am innocent because I don’t know why again and again I go in the wrong direction. But thank God I can hear His voice and I can come back to the Him. 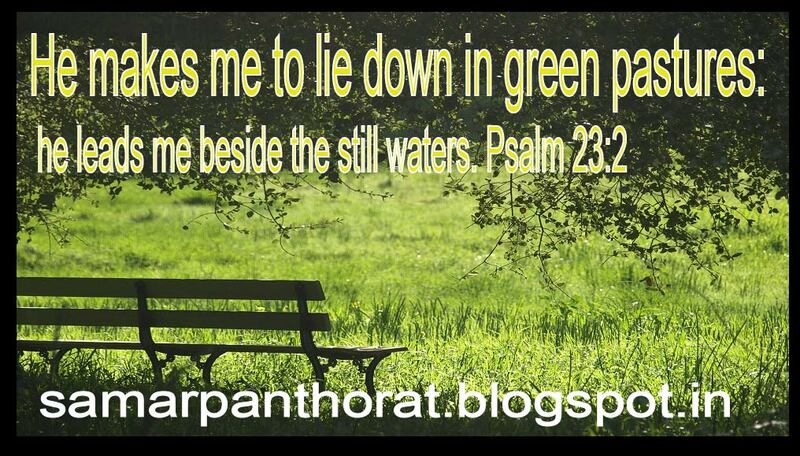 3) Lies Down: Here I get the privilege to enjoy the best of the best because LORD has given me a fine meal. I can enjoy my meal because God is there to protect me. I don’t have the worry for tomorrow. Because if He has provided today, tomorrow and all the days of my life. 4) Green Pasture: A sheep desire is always to have green pasture same He has given me. He has blessed me with freshness. Not old meal but a green and fresh meal. I am thankful to you LORD for providing my need, please give me more faith to trust in your plan.